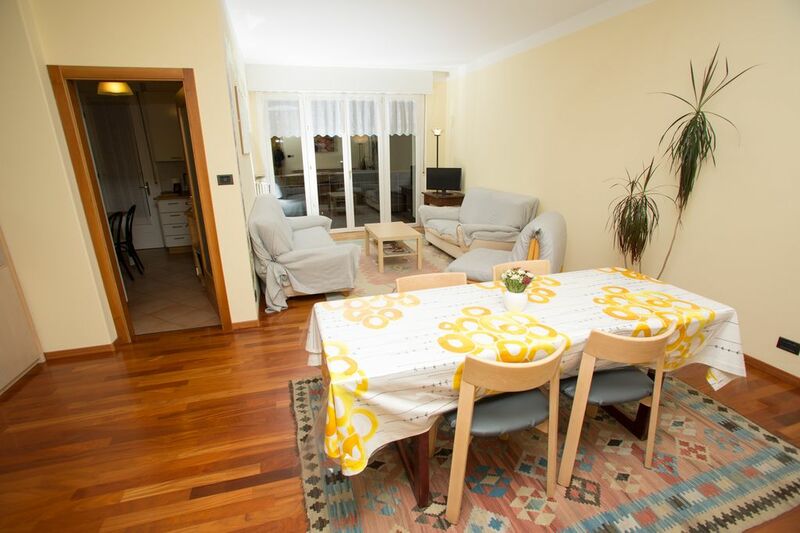 Very bright and comfortable apartment, convenient both for visiting Trento and for getting around the whole of Trentino. It consists of a large living room with TV and Wifi, a kitchen with fridge, dishwasher, microwave, kettle, a bathroom with tub and shower, two rooms, each with two beds. The house is located a few steps from the square of the church of Gardolo (Piazza Libertà), where there are two supermarkets, a pharmacy, a newsagent, two bars, various shops, bus stops to and from the center. In front of the house there is a restaurant-pizzeria. The apartment is on the second floor, without a lift. We do not smoke in the house and we do not accept animals.